Winter may be cold and miserable, but that’s no reason to let the bad weather affect your mood! It’s time to cheer yourself up and make the most of the wintery weather. Wondering how you can do that? It’s easy when you are into travelling – you just need to book a trip to one of the world’s many winter wonderlands! There are lots of destinations that are fantastic places to visit in the colder months and, thankfully, the majority of them are in Europe so you won’t have far to travel at all. 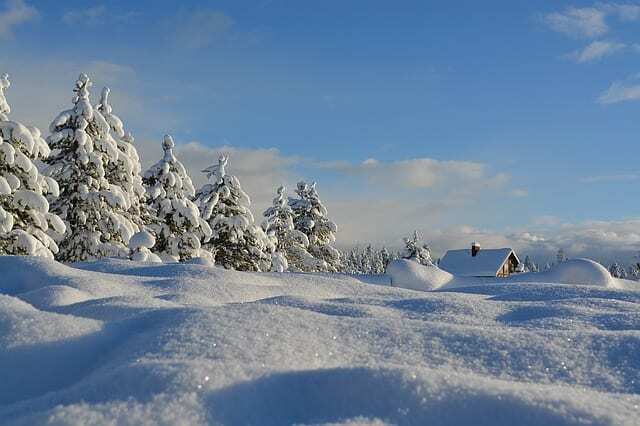 Here are some of the best winter wonderlands. Which one will you travel to this winter? If you love visiting your local Christmas market in December, why not head to Germany, which is home to some of the best Christmas markets that you will ever see. It’s worth heading to Munich as the city hosts some of the most traditional markets. You’ll be able to browse handmade goods while sipping mulled wine and snacking on tasty local delicacies, such as Bratwurst sausages and gingerbread. The city of Salzburg is absolutely magical during the wintertime. This Austrian city will have Christmas markets in December just like Munich and other European cities, but its Baroque architecture really sets it apart from all the rest. All of the old turrets on resplendent buildings give the whole city a fairytale feel, especially when it is snowy in winter. Make sure you try some Kaiserschmarrn while you are in Salzburg, which is an Austrian pancake speciality. If you take a look at Bolsover Cruise Club holidays, you will see that there are quite a few cruises around Norway. These are the perfect winter cruises, as Norway is a fantastic place to visit when it’s cold outside. Even if you don’t want to visit on a cruise, you could still book a ski holiday or visit the country’s famous Fjords. No matter how you explore the country, I’m sure you will have a lot of winter fun! You will certainly have to wrap up warm to visit St. Petersburg, but I’m sure you will be glad that you did! If you visit in December, then it’s worth booking tickets for the Mariinsky Theatre’s Nutcracker shows. This theatre is known for its ballet, which is often said to be the best in the whole of Russia. If you have time, stop off for a concert at the St. Petersburg Philharmonia as well.